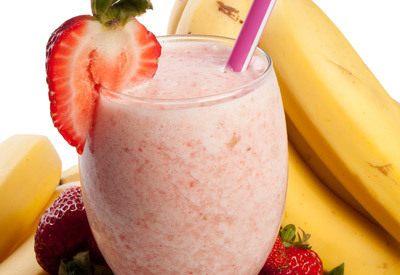 Combine all ingredients in a blender until smooth. CONSUMER: For ultimate consumer redemption only. Redeem this coupon when purchasing in accordance with the terms of this offer. Limit one coupon per purchase. Good only on purchase of product indicated. Any other use constitutes fraud. You pay sales tax. Void if sold, transferred, reproduced or where prohibited or restricted by law. Void in Louisiana. RETAILER: Retailer will be reimbursed face value plus 8 cents for handling if coupons are redeemed properly. Submit in accordance with requirements for proper coupon redemption to: Dannon Coupon Redemption, CMS Department #36632, One Fawcett Drive, Del Rio, TX 78840. Invoices showing purchases of sufficient stock to cover all coupons redeemed must be provided upon request. Cash value 1/20th of 1 cent. �2018 The Dannon Company, Inc. Available on 400 ct. or 600 ct. pkg. Offer not valid with any other coupons. Coupon not subject to doubling. Limit one deal per customer.